One of the bestselling cars of the past decade, the Toyota Camry debuted in 1982 (for the '83 model year) and quickly gained popularity around the world, although primarily in North America, Australia, and Asia. 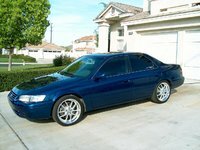 It entered its sixth generation in 2006, although narrow-body/wide-body generations of the Camry overlapped for more than a decade in the 1990s and into the 2000s. Primarily prized for its affordability, quality of build, and reliability, the Camry, along with many of the vehicles coming out of Toyota's worldwide plants, took a big hit in the quality and reliability categories when mechanical problems triggered massive recalls. 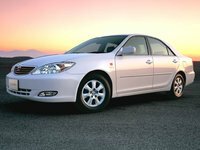 As a result, the venerable Toyota brand stumbled and continues to struggle to regain consumer confidence, especially since certain Camrys built from 2007 to 2010 were involved in the recall. On the plus side, the Camry continues to offer the features and attributes many prospective owners seek. Its spacious, quiet cabin offers comfortable seating for five passengers, and drivers will generally find the controls ergonomic and well laid out, though some owners say they have difficulty seeing some displays in bright sunlight. Similarly, the Camry rides on a suspension tuned for a smooth, comfortable ride, but some owners and reviewers find it too soft for sportier driving. However, this hasn't presented a problem for most owners, particularly daily commuters and those with families. 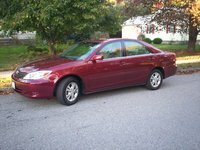 Although its build quality has taken a hit, the Camry continues to excel in affordability, and retains its reputation as a good value. In fact, in 2010, U.S. News and World Report gave the Camry its Best Midsize Car for the Money award for the second consecutive year. However, competitive automakers, especially the domestic Big Three, have taken advantage of Toyota's problems to make inroads into the Camry's sales. On the plus side, this can result in good deals for prospective buyers. 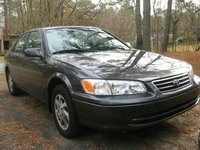 Top competitors to the Camry include the Honda Accord, Nissan Altima, Ford Fusion, and Hyundai Sonata. 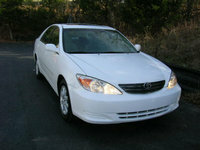 Toyota freshened the Camry's exterior look in 2010 with a new grille, headlights, and taillights. For 2011, the Camry received a redesigned gas pedal (problems with gas pedals triggered the recalls) as well as a new brake override system, designed to prevent the Camry from accelerating when the driver's foot is depressing the brake. Trims range from the entry-level Base trim to the LE, sporty SE, and high-end XLE. A 2.5-liter four-cylinder engine, producing 169 hp and 167 lb-ft of torque (179 hp and 171 lb-ft for the SE), provides base power for all trims, although owners can upgrade to a 3.5-liter V6 engine, which pumps up the power to 268 hp and 248 lb-ft of torque. The base engine posts fuel economy numbers of 22/33 mpg with a manual shifter and 22/32 with an automatic, while the V6 manages still respectable numbers of 20/29 mpg. The Camry also comes in a Hybrid trim, which boosts fuel economy numbers to 31/35. 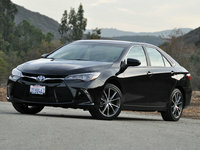 According to reports, Toyota plans to give the Camry a complete design refresh for the 2012 model year, which should include new exterior styling and a revamped interior. The Camry's platform and size, however, should remain the same as the current version's. Originally part of the Celica line, the Camry broke free in 1983 to forge its own identity. Available as both a four-door sedan and a five-door hatchback, it stretched to 102 inches, making it one of the longer Japanese imports. In the Toyota lineup, the front-wheel-drive Camry slotted above the Corolla and the rear-wheel-drive Corona, which it replaced in many markets, including the U.S. Power came from a 1.8-liter, 92-hp four cylinder, which did a good job of moving the fairly lightweight Camry. Toyota offered early Camrys with either a five-speed manual or a four-speed automatic transmission. Even in its first generation (referred to internally as the V10), the Camry's comfortable ride, quiet interior, good gas mileage, and affordability attracted buyers worldwide. 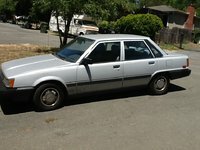 After giving the Camry a minor refresh in 1985 with new headlights, taillights, instrument gauges, seats, and a larger glovebox, the automaker launched the second generation (dubbed the V20) in 1987. Like the original Camry, this version had a narrow body and carried the compact car designation. 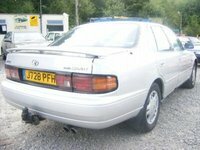 In all, Toyota launched five generations of the narrow-body Camry, with the third generation (V30) appearing in 1990, the fourth (V40) in 1994, and the fifth (the V50) in 1998. However, the latter generations of the narrow-body Camry were not available in the U.S. market, since they were replaced in 1992 by a longer, wide-body platform, which moved the Camry into the midsize market segment, where it remains today. 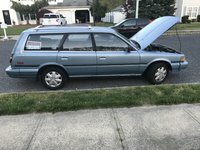 For the second V20 generation, Toyota bumped up the engine's horsepower to 115, and replaced the hatchback trim with a station wagon. 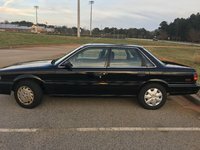 In 1988, the automaker offered Camry trims with a new optional 2.5-liter, 158-hp V6 powerplant and an all-wheel-drive system called All-Trac. 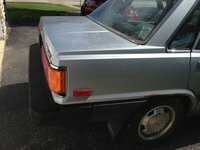 That same year, Toyota started building Camry Base, DX, and LE trims at a new plant in Georgetown, Kentucky. 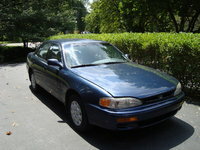 The remaining narrow-body generations were produced solely for the Japanese market, as the Camry switched to its current wide-body platform for North American and other global markets starting in 1992. Although the wheelbase of the first wide-body generation (dubbed XV10) stretched only 1 inch longer than the narrow-body version, overall it was 6 inches longer and two inches wider than its predecessor. It also received a larger 2.2-liter four-cylinder engine developing 130 hp, while the V6 was beefed up to 3.0 liters and generated 185 hp. Also in 1992, antilock brakes became optional. 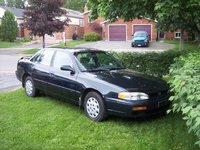 In 1994, a two-door coupe appeared, but by 1997 it had disappeared. It re-emerged in 1999 as the Camry Solara, and was designed primarily to compete with the Honda Accord Coupe. 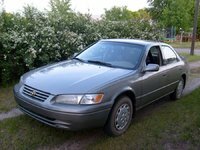 Toyota also added a passenger-side airbag for the Camry in '94, and introduced side-impact airbags as an option for all Camrys in 1998. The XV20 generation appeared in 1997, with a new front end and some rejiggering of the trim lineup, and in 2002 the XV30 generation made its debut. Once again, for this generation, Toyota stretched the Camry's dimensions, adding 2 inches to its wheelbase and 2.5 inches to its height. The automaker bumped horsepower for the V6 engine to 192 and introduced a new 2.4-liter four-cylinder powerplant producing 157 hp and 162 lb-ft of torque. In addition, Toyota dropped the station wagon from the Camry lineup, in deference to the growing influence of SUVs. The XV40 generation, which debuted in 2007, saw the introduction of the Camry Hybrid, as well as a six-speed automatic transmission for V6 trims. For 2010, Toyota boosted power for the V6 to 268 hp, while the four-cylinder also saw a boost in power to 169 hp. 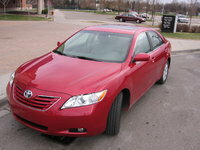 Such features as power door locks, stability control, and traction control became standard on all Camry trims in 2010. 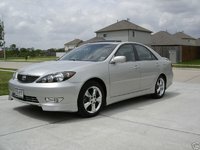 Through all these changes and new generations, the Camry continued to increase in popularity in the North American market, although globally sales remained flat, in part due to the Camry's size and cost. Numerous awards helped build the Camry's appeal, including Motor Trend's Car of the Year award in 2007 and more Best Car for the Money awards than any other model, according to the automaker. In addition, the Camry was the best-selling car in America for 12 of the last 13 years, and had the best resale value of all cars in 2010, according to Kelley Blue Book, attesting to the car's value, affordability, and popularity with buyers. The Camry's popularity as a used car has obviously taken a big hit due to the recent recalls. The voluntary safety recall for problems with gas pedals affected certain Camrys built from 2007 to 2010, especially four-cylinder trims. In addition, certain Camrys built in the same year were recalled due to issues with the floor mats. 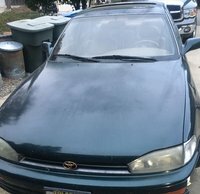 As a result, prospective owners concerned about safety issues may want to seek out Camrys built prior to 2007, or cars from the previous generation. 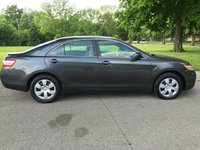 These Camrys offer the same roomy cabins and comfortable ride as the current generation, although some trims may not come equipped with safety features like antilock brakes and a full range of airbags. Buyers may even want to look to the generation prior to that, built from 1997 to 2002, since many of those vehicles remain on the roads today, and some are well-equipped with safety and comfort features. 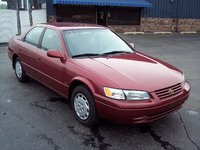 In addition, some Camrys built prior to 1997 are still available, attesting to the model's overall build quality and reliability. The Camry's high resale value can affect the cost of used vehicles, but those costs have been affected by the recent recalls, so prospective owners can probably find good deals on used Camrys. In addition to problems with the gas pedals, more recently built Camrys have had a few other quality issues. 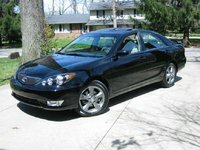 The interiors of the 2009-10 Camrys, for instance, fell below the standards of some owners, while others found the exterior design, steering, and performance somewhat dull, especially when compared to competitive cars from motivated automakers. Similarly, prospective owners seeking a sporty ride might want to avoid the Camry, which performs best in more routine, around-town settings. The 2020 Toyota Camry has been announced, but it is not yet available for purchase. 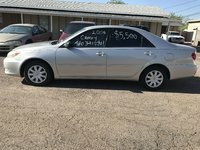 2004 Toyota Camry - Worth It To Repair? 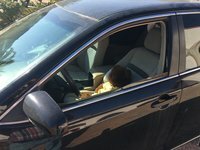 I am having this problem with my 2013 Camry. At 20 mph and at 90 mph. But when I accelerate the vibration stops.